O uso dos verbos na língua inglesa. Past tense of regular verbs. The gerund. 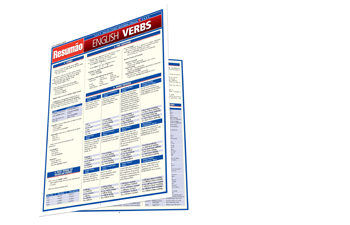 Verb tenses: simple present, present continuous, present perfect, past perfect continuous, simple past, past continuous, past perfect continuous, simple future, future continuous, future perfect, future perfect continuous. Conjugation of to be, to have, to do, etc. Used to. Conditional sentences. Subjunctive. Expressing preference. Polite requests. Active form/passive form. Modals. Modal summary. Phrasal verbs. Some irregular verbs.